The Iranian regime is trying to minimize the loss of life and damage caused by the floods to avoid popular anger. The current floods in Iran have lifted the curtain on the devastating policies of the Iranian theocracy, particularly the Islamic Revolutionary Guard Corps (IRGC), which has destroyed urban and rural infrastructure for its own economic benefits and left the Iranian people defenseless against disasters. “Our enemies, especially the People’s Mojahedin, are trying to abuse the floods to erode the people’s trust in the IRGC, which is a popular and revolutionary body, by using rumors and misinformation,” said the Fars News Agency, affiliated with the Islamic Revolutionary Guard Corps (IRGC). “Intelligence and security services and the judiciary must remain vigilant about this unrest, particularly in cyberspace, and be firm with those who spread lies and rumors,” the same source said. 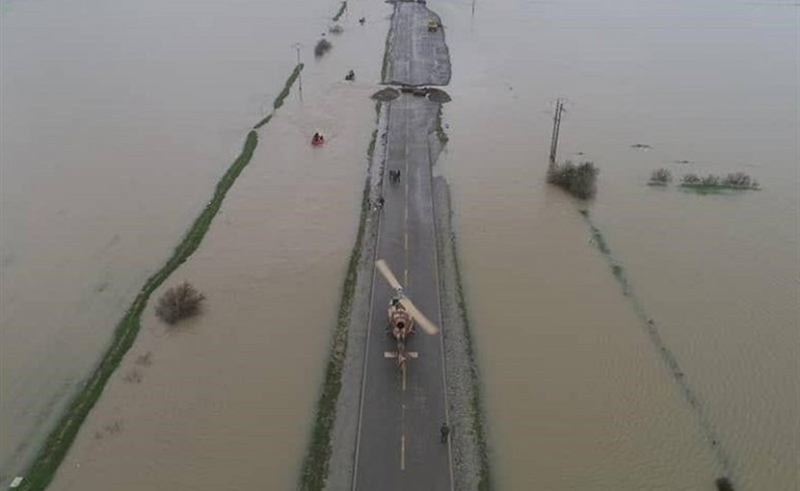 The role of the IRGC in the Shiraz disaster, where the flood hit a national road built (by the IRGC) on a pipeline designed to carry floods to unpopulated areas, carrying hundreds of cars with it, was so visible that even Admiral Alireza Shamkhani, the Secretary of the Iranian regime’s High-Security Council, could not deny it. When questioned by the press, he tried to take refuge in the implicit to avoid directly incriminating the CGRI: “Whether it was the private or public sector, all those who built on this water pipeline route committed a fault”, he said, claiming to be misinformed about the fact that a “military body had built on this route or not”. With the damage done, the regime is now trying to prevent the revelation of the exact extent of the loss of life and material damage, to avoid an outbreak of popular anger. All figures are minimized in the official media. “I have called on the judiciary and the prosecutor’s office to be firm against those who spread lies and rumors or increase the damage to the affected areas,” said Interior Minister Abdolreza Rahmani Fazli, whose comments were relayed on 28 March by the Official Press Agency, Irna. Mohammad Jafar Montazeri, the Prosecutor General also intervened to say that “the sources of false information will be detected and apprehended” (IRNA, 28 March 2019). Javid Javidnia, the Deputy Prosecutor General for Cyber Crimes, called on the cyberspace police to arrest those who “spread new lies”. “Framed images have been attributed to the events in Iran, the police have detected his sources and will arrest them,” said Colonel Davoud Moazami Goudarzi, deputy chief of the Cyberspace Police, quoted by the Young Journalists Club, an agency created by State Television, IRIB. While Iranian theocracy government authorities, the judiciary and police are increasing threats to try to thwart the revelation of the extent of the damage, RIMC forces systematically stop popular aid convoys marching into the affected areas to prevent eyewitnesses from seeing the damage on the ground. In the meantime, Secretary of State Mike Pompeo today extended condolences to the victims of Iranian flooding, and said the United States was prepared to offer help. But in a sign that the offer may have been less than serious, he did so in a statement blaming Iranian regime mismanagement for the flooding, and without any accompanying guidance on how assistance could be directed to Iran without violating US sanctions. Pompeo rejected the reported claim by Iran’s Foreign Ministry that US sanctions were preventing donations to Iran’s Red Crescent society.